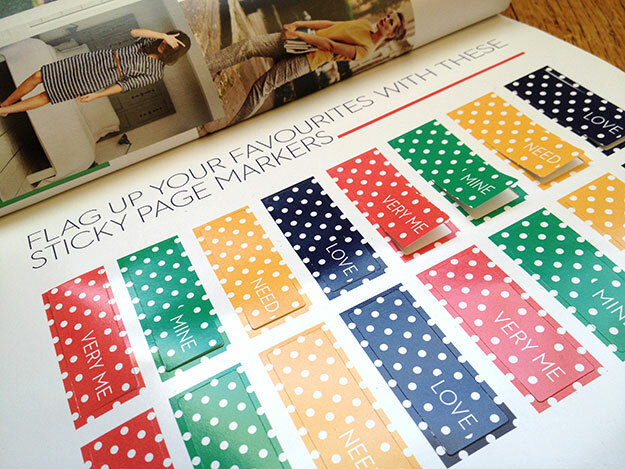 I love this feature in my newest Boden catalog – sticky tabs to flag items you like instead of having to turn down page corners. Arriving days before Valentine’s Day, its messages of “Mine” and “Love” also subtly (cleverly?) call to mind candy conversation hearts. Putting on my marketer hat, I’d add a tab labeled Gift. Even if the shopper doesn’t end up purchasing any gifts, the prompt nudges them to think about friends while browsing and share Boden items they might like. And, on a personal note, I’d feel less frivolous about shopping if I could convince myself I was also shopping for my friends!